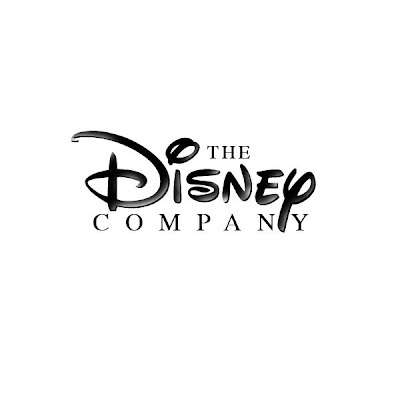 The Walt Disney Company is changing its name to The Disney Company. Beginning on October 1st, the company that Walt Disney founded as Walt Disney Productions, which became the Walt Disney Company will be known simply by that last name. Disney CEO and President Bob Iger commented in a press conference held late last night at one of the hangers on the studio lot that "The rich heritage that Walt Disney established with the company over three quarters of a century ago will continue." Iger, flanked by several other executives including Tom Staggs and Jay Rasulo, mentioned the need to bring the entertainment giant into the new century. "We can't rest on what was done in the past, there is a whole world out there for the company to exploit." It appears the the goal is to make it a phased transition which will be completed over the course of the year. By January 1st, 2011 the company will have finalized all the legal and administrative changes. All aspects of the company will be affected from film, print and other media. The historic film division which began as Walt Disney Productions and transitioned to Walt Disney Pictures will now emerge as Disney Pictures. Walt Disney Animation Studios officials, including Ed Catmull were on hand at the press conference and displayed the new logo of Disney Animation Studios, which is close to the original graphic with Steamboat Willie beneath Walt Disney's signature. The primary difference other than the colors is that the font used is closer to the Disney logo and the absence of Walt's name. When asked how he felt fans would react, Mr. Iger said that the traditions of the company will carry on and no one should worry about the lack of the founder's name on the mantle. "This company will always respect the man who made it happen, and the men and women around him that helped in the creation of this company." I still remember your prank post last year about Mickey's Fun Wheel...Good times. But why is de movie 'Alice in Wonderland' brought us by Disney instead of The Walt Disney Company, or Walt Disney Pictures? don't even say stuff like that! I'm with Franky here. Why are all the new movies coming out carrying only "Disney" instead of "Walt Disney Pictures"? Could you explain it to us Honor? This is actually very good. Got me! I totally forgot the date. Arrrggghhhh! Wow you got me there!!! Good one! I was ready to tweet up a tirade. You totally got me! I was feeling so defensive of Uncle Walt, imagining part of his name being taken away. Thank goodness it was just a prank. This was a REALLY good prank because it wasn't totally outrageous. I knew the date, but thought this was true. I did however think it was kind of silly and a waste of money. The best part is thats completely an april fools joke only you would make. Ugh! I am such a sucker for these things. Don't give them any ideas! There dumb enough to think that may be a good idea. You had me till the word "Exploit." this is the first year i actually remembered it was april fools day. so i was expecting something like this. Maybe you should have reported that "The Disney Company" was remaking Song of the South with Michael Clarke Duncan as Uncle Remus. Walt is probably turning over in his grave at what his company has become so it actually makes sense to drop his first name since he's not the mistakes aren't his own. That doesn't work as an April Fools because its too plausible. I just finished reading a post on another blog about how everything on the Net today is likely to be a prank...yet I still feel for this. Well played sir. Also, I just knew that some people would say that its "plausible" or "I wouldn't put it past them"
Disney is NOT ever going to do a move like like. Iger KNOWS that people would riot. Especially since the Internet crowd already tends to riot at the slightest thing. So relax, Disney would never really do this. I wouldn't put it past Eisner though, but he is gone now. you sir are an arse! I totally bought it! He, he, he! Anyway I work in Disney's Beauty and the Beast musical in Argentina... and the brochures, posters and tv spots only mention Disney (not Walt) (perhaps that's why I believed it). To bad so much of it is true! Oh calm down everyone, the important thing is; the company is still known as the "Walt Disney Company", and the company name is not going to be changed. Its just meant to be a fun April Fool's article. Grrrr.. I hate you. I Hate You! I HATE YOU! You got me good! :) I completely fell for it. Great job. You could say that the name of the company should be ESPN. As they have already eliminated the unique division Mickey logos (and NO that's NOT an April Fools joke! ), The company's move to genericizing itself doesn't seem so far fetched. I would support this if it were for real. I haven't looked at the blog in a while, and finally got to checking up on it. I saw that post a day late, and almost lost it. Good one people, you got me. Whew... so glad that was a joke. A year after this was posted, they actually did shorten "Walt Disney Pictures" to "Disney".